Social media is not as easy as kids make it look: the analytics and metrics behind successful, profitable campaigns are not for the faint of heart. The technology is new and constantly evolving. So where does that leave you in the aggressive realm of social media marketing? 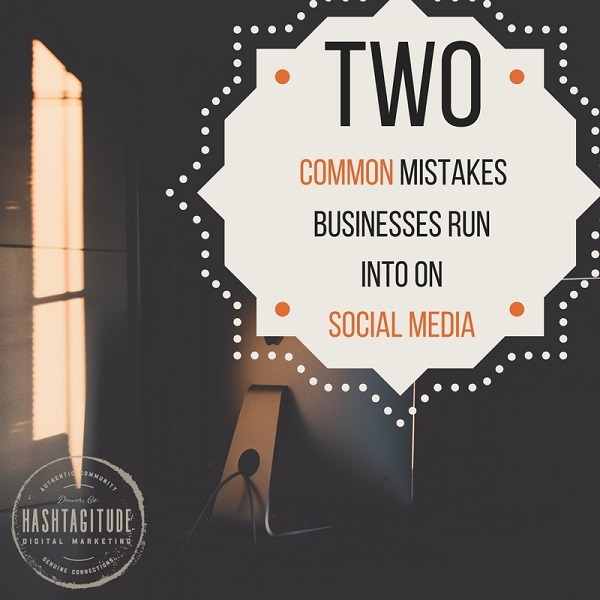 Below are the two mistakes we come across most often at Hashtagitude when we talk to small business owners. Marketing budgets are usually the first to get slashed when companies look to cut cost. And when companies look to save money in the digital space, they turn to widgets and bots. Automation is definitely cheaper than a real person. The same is true for most industries; however, when the objective is to connect with others, robots are not your best bet. There are some advantages in using automation: you can increase followers, schedule your post more easily, and save money to an extent. The benefits of automation seem great at the surface level, but with that ease comes a potentially harmful side effect without a proper strategy. The most common issue with automation is the user’s follow through and a know-how of using the tool. After you get your automation widget, do you ever check your ROI? Is your social media producing the desired results or are you throwing spaghetti at the wall to see what sticks? Do you measure your data and cross-reference it with previous data to craft better strategies and future campaigns? Are you posting too much? On the other hand, are you posting too little? How much personality should your bring to your audience? Automation does do some things well but you should not completely rely on automation tools for your digital marketing success.. These are the most common problems we see in our clients before we assist them. Fine tuning a marketing strategy on social media takes a considerable amount of time and research. Rarely are the solutions to these problems easy but they can have big payoffs if given the proper approach. So, like anything else, you get out what you put in. What are your comments on these issues? We’d like to hear from you in the comment section below :).